Home / Why Social media marketing ? Social media marketing can help potential customers ‘discover’ your business. While most of your marketing strategies will be based on the concept of directly talking to your customers, social media marketing goes a long way towards the customer ‘discovering’ your company on their own. Because social media sites promote communication and sharing between the people who use it, it allows a user to share information about a product or service they like with their friends. It also allows a single user to locate or discover new things on their own, based on how they navigate the various social media sites. This means a regular social media website user could accidentally find your business while they are performing their everyday online tasks. This can certainly add to your efforts to locate new customers. Social media is wildly popular with online users. One of the purposes of any business marketing campaign is to reach out to as many potential customers as is possible. Social media websites are extremely popular with online users, meaning your business will have access to a very large number of people to advertise to. Recent studies have indicated that Facebook has more than 1.06 billion users and that more than 2.5 million websites have directly integrated themselves with it. YouTube sees more than 1 billion unique users each and every month, and Twitter has more than 1 billion users itself! More than 525 million people are currently using Google Plus and that number grows everyday as well. This means that social media marketing offers your business the chance to reach out to an awesome amount of people each and every day! 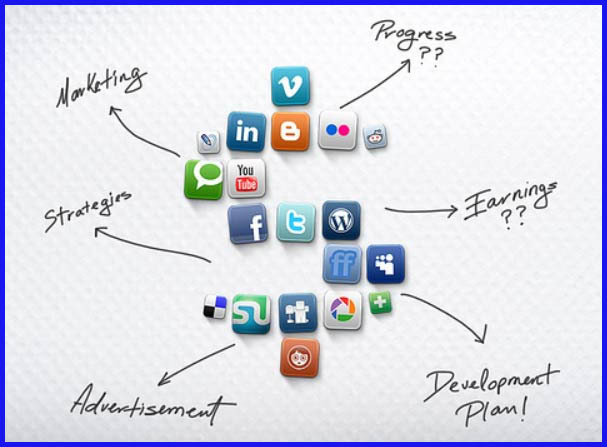 Social media marketing allows your business to raise its brand awareness. Social media platforms allow a company to spread its brand’s information all over the web. Potential viewers could end up seeing your brand in image form, in online videos, in discussions between users and via your company’s website. They will also be able to hear about your brand when they perform an online search. The more that people hear, read or see your brand, the better the chance that it will stick in their minds. This is how you can vastly increase your brand’s recognition factor. Social media also allows your business to directly control its brand’s reputation and repair any damage to it very quickly.